Well it’s look like the party is finally coming to an end. Or at least winding down. FHA loans, which became wildly popular over the past few years thanks to their low down payment and credit score requirements, are about to get a lot pricier. Beginning in April, the FHA’s upfront mortgage insurance premium will rise from 1% to 1.75%. Additionally, the annual mortgage insurance premium (MIP) will increase by 0.10 percent for loan amounts under $625,500 and by 0.35 percent for loans above that amount, up to $729,750. The increase will apply regardless of the amortization term or the loan-to-value ratio. Yes, even if your mortgage is ultra low-risk, you’ll still have to pay a premium for an FHA loan. The good news is the FHA will continue to allow the financing of the upfront premium into the mortgage, and borrowers already in FHA-insured mortgages or Home Equity Conversion Mortgages (reverse mortgages) will be exempt from the increase. While the FHA was quick to note that the increase to the upfront premium would only cost new borrowers an average of $5 per month, it’s not quite that insignificant. For every $100,000 a borrower takes out, they’ll be paying an extra $750. It may sound like nothing over 30 years, but as a lump sum it’s sizable. If we consider a loan amount of say $650,000, we’re talking an additional $4,875 in upfront premium cost, along with the annual premium costs. That’s expensive. Simply put, the FHA needs to bolster its capital reserves, which have long been depleted since the mortgage crisis got underway. The agency took a ton of losses on so-called seller paid down payment assistance loans, which allowed borrowers to get mortgages with no money down. As expected, those types of loans didn’t turn out well. And the FHA is all about avoiding government assistance, so raising prices was the only way around it. “After careful analysis of the market and the health of the MMI fund, we have determined that it is appropriate to increase mortgage insurance premiums in order to help protect our capital reserves and to continue encouraging the return of private capital to the housing market,” said Acting FHA Commissioner Carol Galante, in a press release. The move is expected to raise more than $1 billion for the depleted fund through fiscal year 2013. Obviously this will make FHA loans a lot less popular, which will probably make Fannie Mae and Freddie Mac backed loans even more popular than they already are. By the way, taxpayers are on the hook for Fannie and Freddie loans. There may be some boost to private capital, but it probably won’t be meaningful. However, it was clear for a while now that the FHA wouldn’t be able to continue down the road it was going. The FHA market share swelled well beyond what they originally intended to take on, and so this is probably a prudent (and very necessary) move, even if it has the unintentional consequence of hurting the already flagging housing market. Look for conventional mortgages to grab market share after the new guidelines take effect in the coming months. 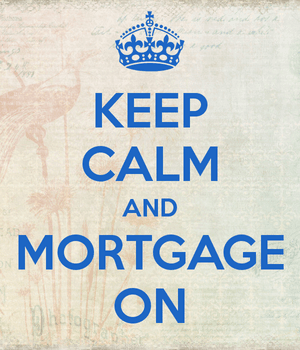 And if you’re looking to refinance your mortgage, you may want to get the ball rolling sooner rather than later. Related: FHA loans vs. conventional loans.